The road in its current state has a very thin five (5) metre poorly formed gravel running surface. The drainage strutures along this section are inadequate and are unable to handle the overland stormwater run off during the summer months. This results in severe scouring and washouts along the road. 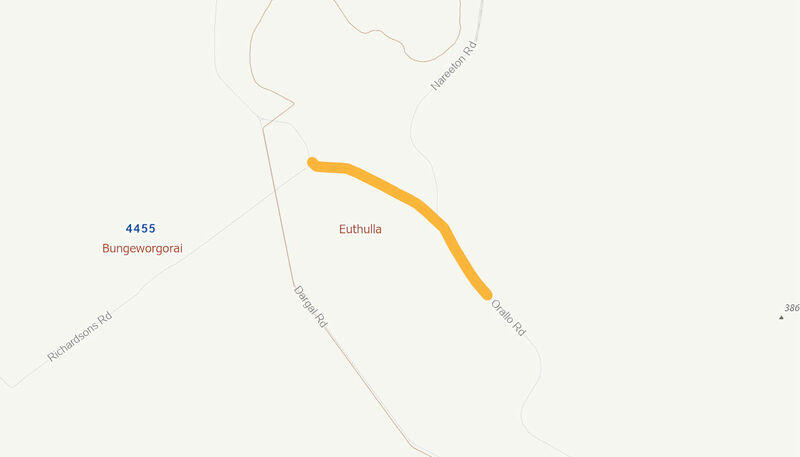 Rehabilitate, Widening and Seal Orallo Road to seven (7) metre bitumen seal from 16.50km to 19.50km (Goldsbrough). Install several new and widen existing drainage structures.